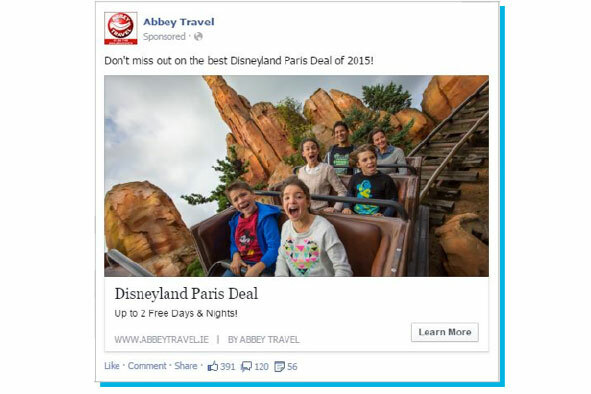 Objective: Support a large offline campaign for Eurodisney packages and maximise online sales of Eurodisney packages. Insight: According to Google research, the travel customer typically takes 24 days to convert and will make 22 website visits during that time. Approach: Because of the lenghty path to purchase we hypothesised that retargeting would be a very effective way of maintiaining visibiity to potential holidaymakers throughout that crucial research process. The more times we brought them back to the Abbey website and answered their questions there, the more likely they were to seal the deal with us. So we captured all the traffic the TV, Radio and Press campaigns drove to the Eurodisney page as an audience. We created content pieces which answered holidaymakers most frequently asked questions about trips to Eurodisney. We remarketed these pieces to all the Eurodisney package audiences for a period of 4 weeks after their visit. Results: Facebook was the single biggest traffic source to the website during the month of the campaign and the month in question was the most successful month for bookings in the history of the website. 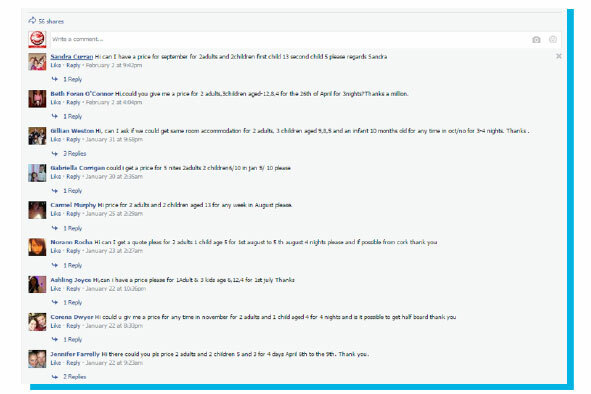 An interesting phenomenon was that potential customers started using the comments box below the ad to make enquiries. The more enquiries the ads received the more coverage they got in other people's newsfeeds. This sparked an enquiry frenzy as people could see dates book out in real time via the ad comments. We've heard of viral traffic before but viral conversions is another story alltogether. Iteration: From early doors we could see the metrics (ie CTR and Conversion Rate) from the retargeting campaign were very strong but the volume of traffic wasn't huge. This is normal with retargeting as you are communicating with the small audience of people who have visited your website rather than your target market at large. In order to increase the reach of the campaing we enabled Facebook lookalike audiences. This meant Facebook looked at the demographic & interest info on the people in our retargeting audience and then matched that info against other similar Facebook users and showed them the ad too. This multiplied our audience by a factor of 30 and succeeded in delivering large volumes of highly targeted traffic to the website.